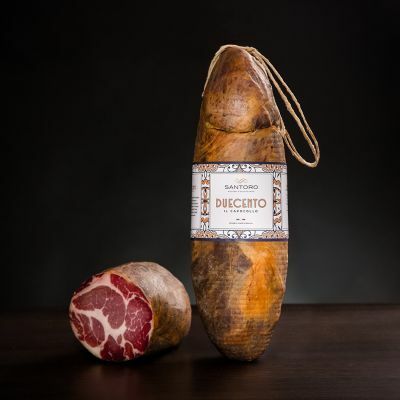 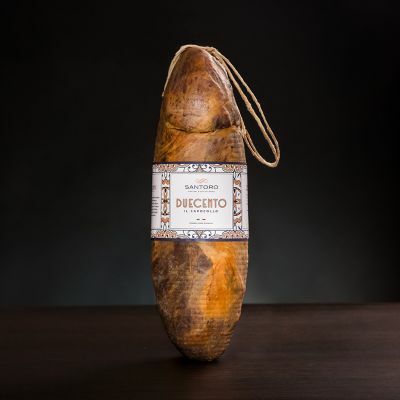 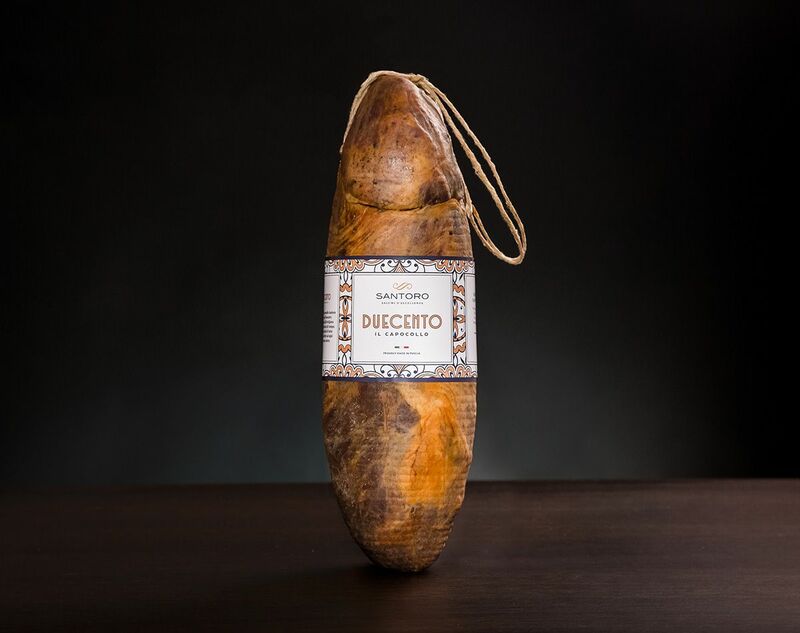 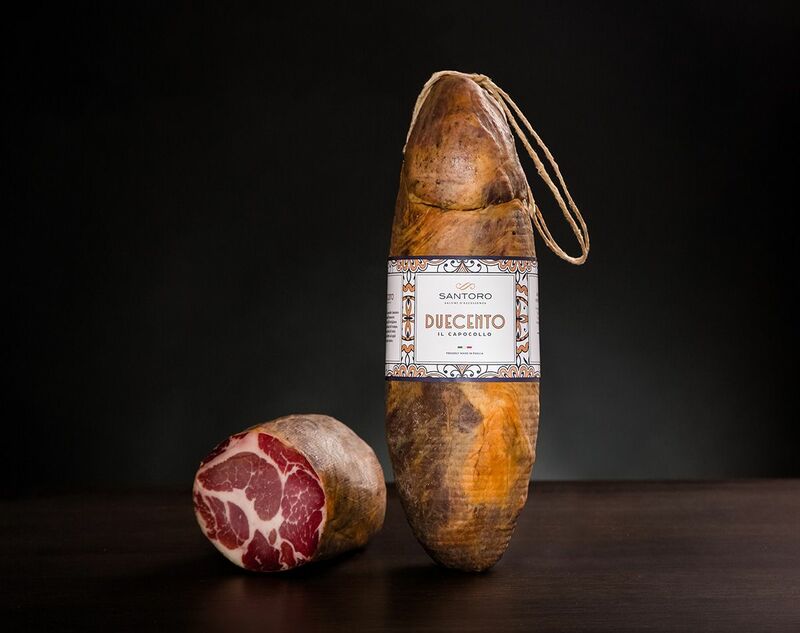 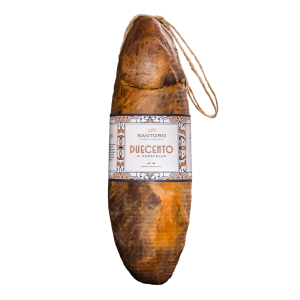 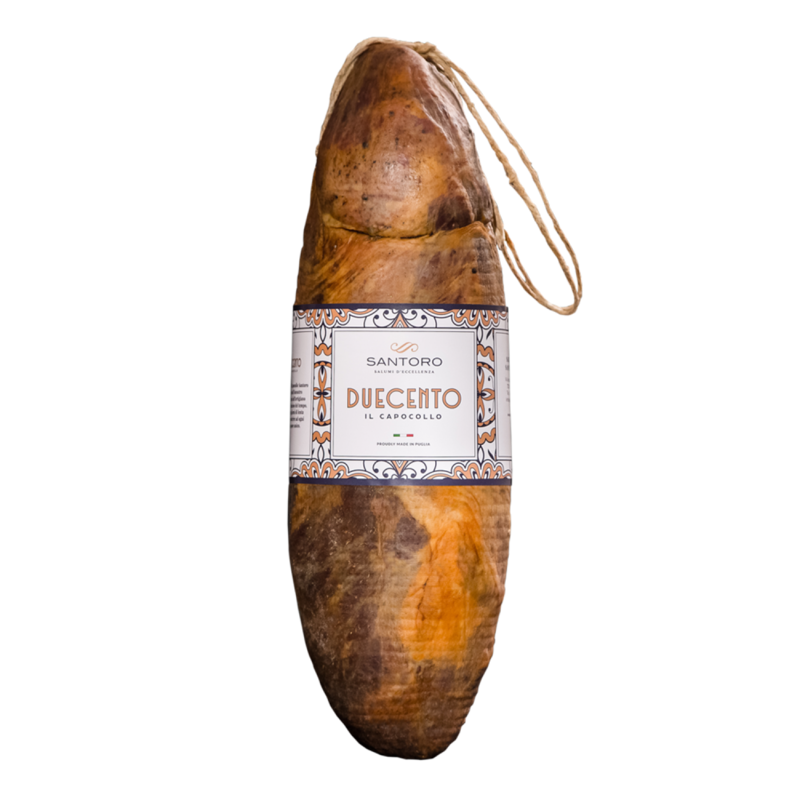 The desire to continually improve ourselves, starting from ancient Italian traditions, has brought us renewing tradition to a product in which the artisan's expertise meets the silent work of time: DUECENTO, Capocollo Santoro. 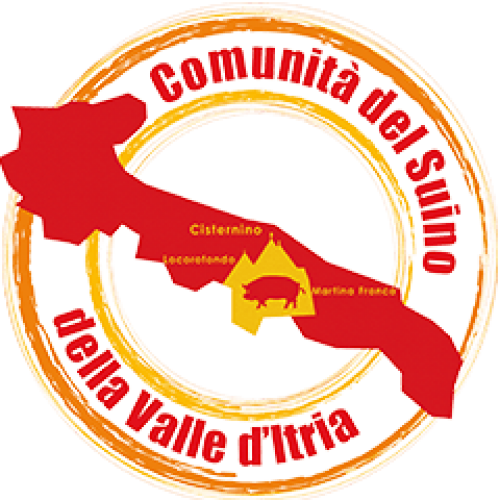 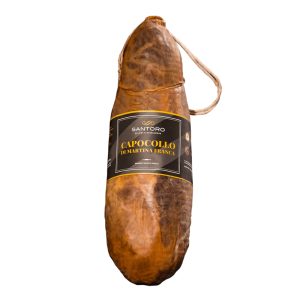 The wait characterizes it, from the selection of swines grown in the wild up to a weight of 200 kg, the time necessary for its af fi ning after a processing according to the recipe Santoro, 200 days. 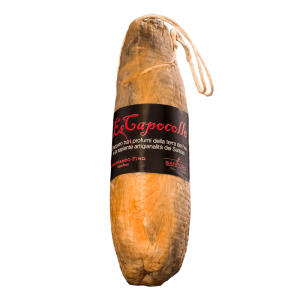 Store the Capocollo Duecento in a cool and dry place, consume within 6 months from the packaging date.